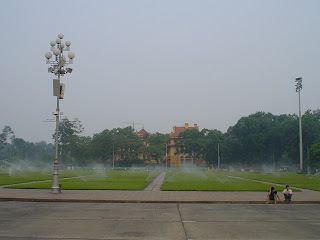 Collection of pictures of Hanoi, Vietnam. These are some pictures of a street restaurant in Hanoi, Vietnam, where you can taste exotic dishes such as snake, eel, turtle. 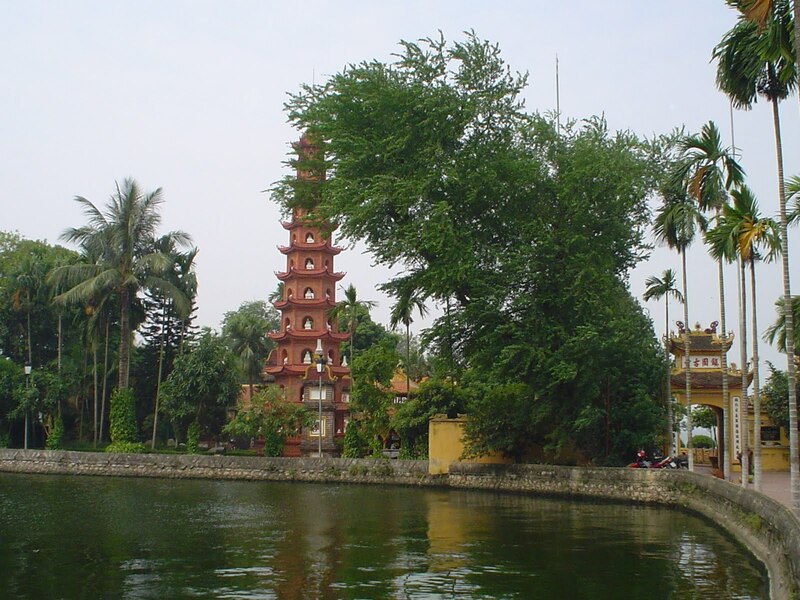 The restaurant is very close to the central lake of Hanoi and few meters away from the cathedral. 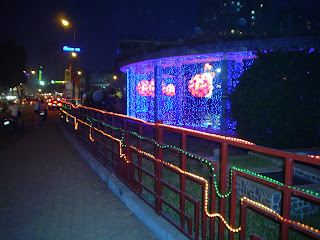 This restaurant is frequented by Vietnamese, on the other side of the street, there are lots of fast food restaurants, pizzerias, etc. 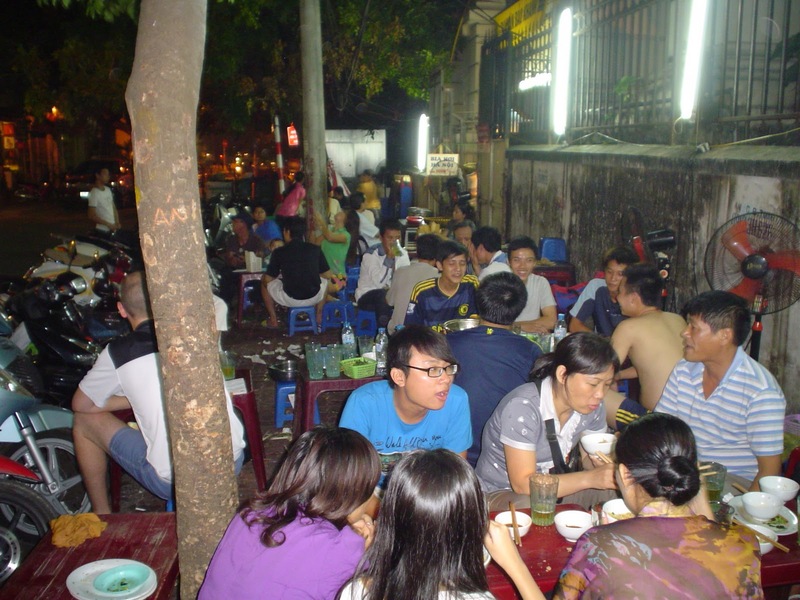 Funny how the street restaurant was crowed and tourist restaurants (more oriented to foreign customers / tourists), were mostly empty. 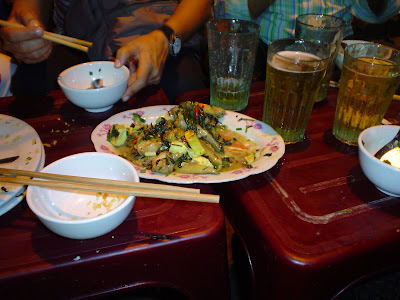 Street restaurant in Hanoi, Vietnam. 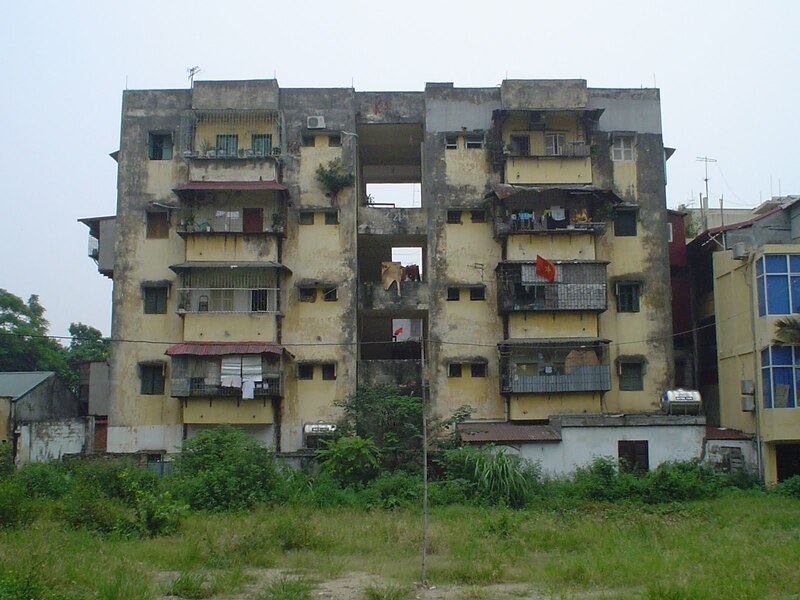 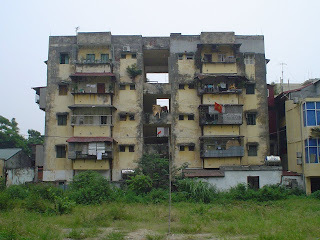 Outskirt building in Hanoi, Vietnam. 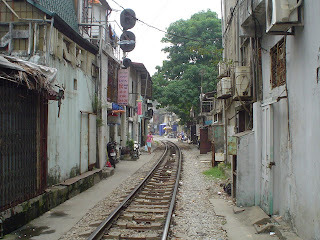 Photos of the railroad tracks going through the center of Hanoi. The city is huge, the tracks have found their place among the narrow streets of the old city of Hanoi. 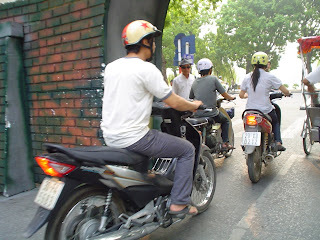 One night walking around Hanoi, when the sun set, the city of Hanoi turns into an entirely different place. 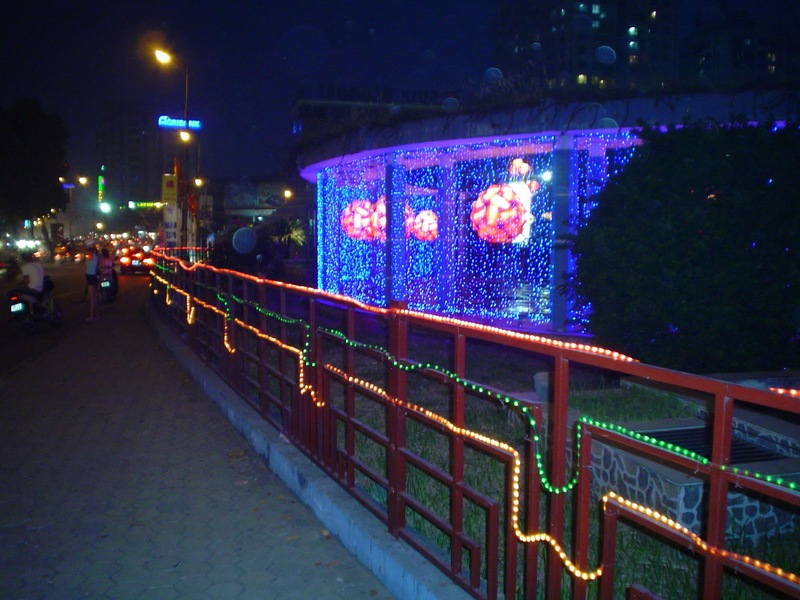 Night time in Hanoi, the capital of Vietnam. 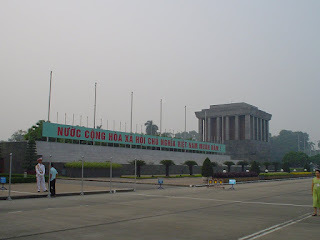 Some pictures of Ho Chi Minh Mausoleum in Hanoi (Vietnam). Where the remains of the vietnamese leader are permanently guarded by 2 guards, that perform a changing of the guard every few hours. A white line, about 15 meters away from the mausoleum, denotes the limit of the tourist zone. 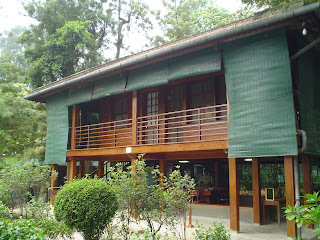 Visitors are not allowed to cross the line. 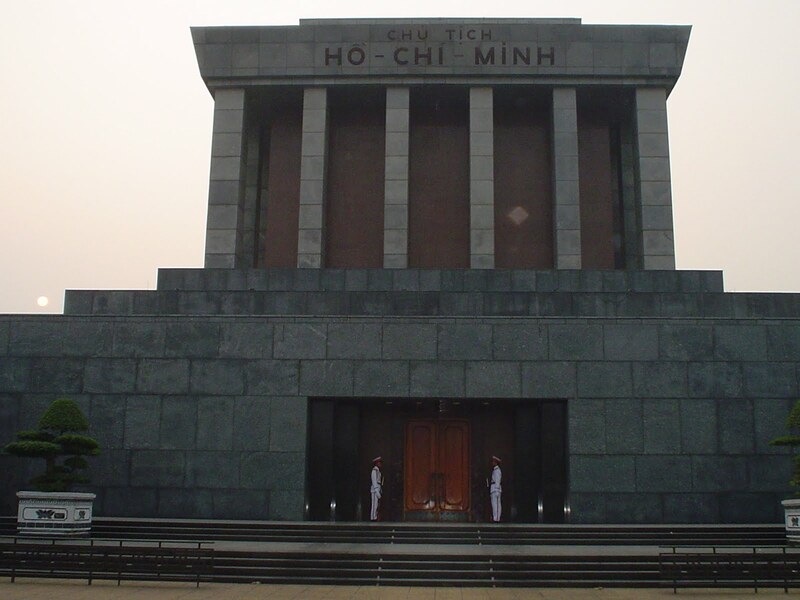 Ho Chi Minh mausoleum is located in a huge esplanade. 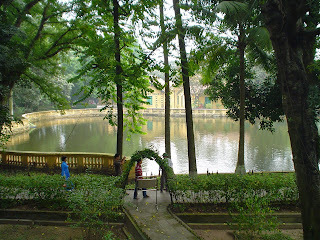 Also, there is a beautiful park (the citizens of Hanoi take great care of it). 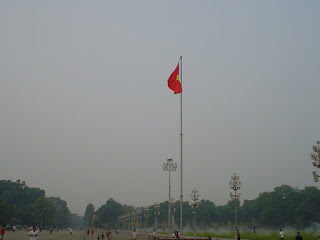 In the middle of the park, to the top of the mast, waves the vietnamese flag. The flag dimensions are close to the spanish flag in the Plaza de Colon (Madrid, Spain). 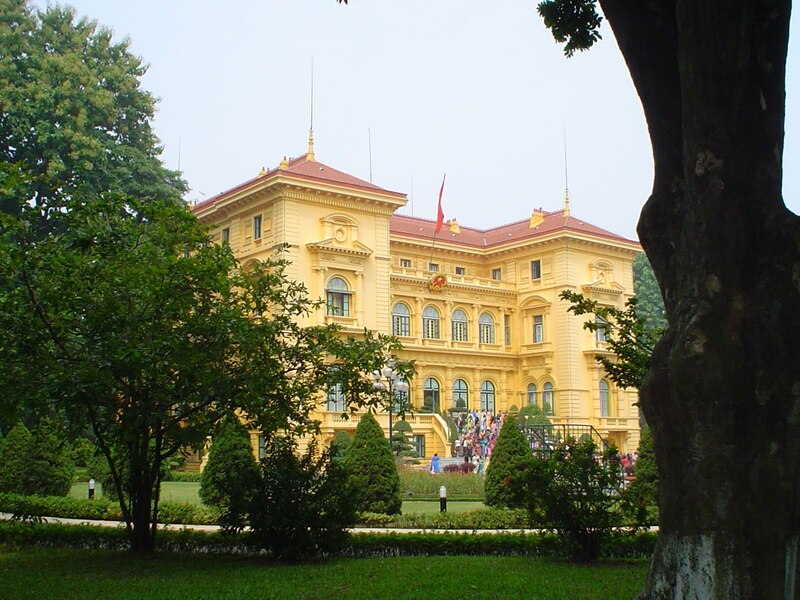 The presidential palace is located a few meters from Ho Chi Minh mausoleum, opposite the house where Ho Chi Minh himself lived. The Vietnamese leader Ho Chi Minh, built a humble home made of wood, as Ho Chi Minh didn't want to live in a palace, taking into account the situation of the country and in solidarity with the vietnamese people. The house, which can be visited, is located on the shore of a small artificial lake where Ho Chi Minh used to feed the fishes and meditate. 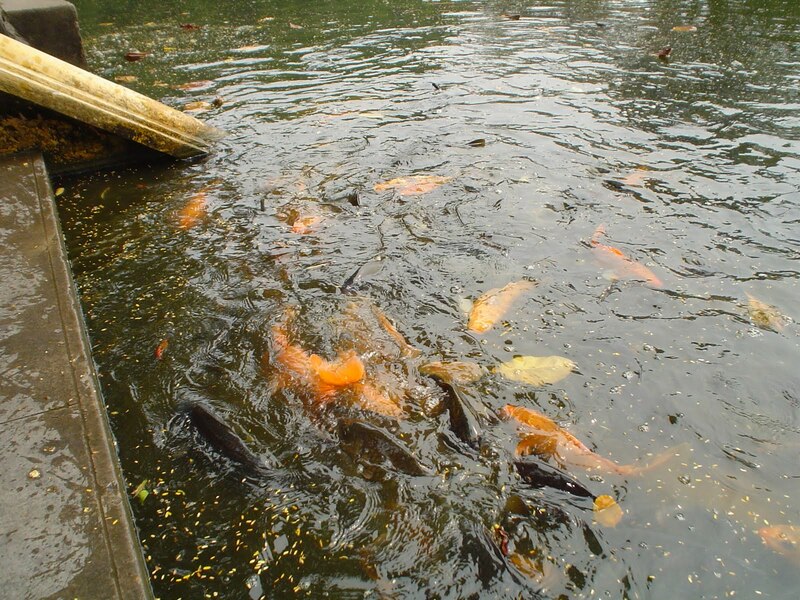 To attract the attention of the fishes, Ho Chi Minh usually claps his palms. 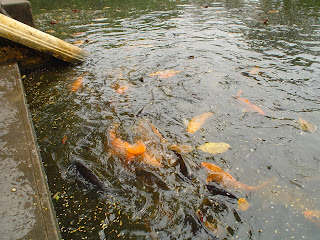 The fishes are get used to that sound and thousands of tourists and visitors, clap their hands and throw breadcrumbs into the water to feed the fishes, fishes eat in a few seconds all the food. 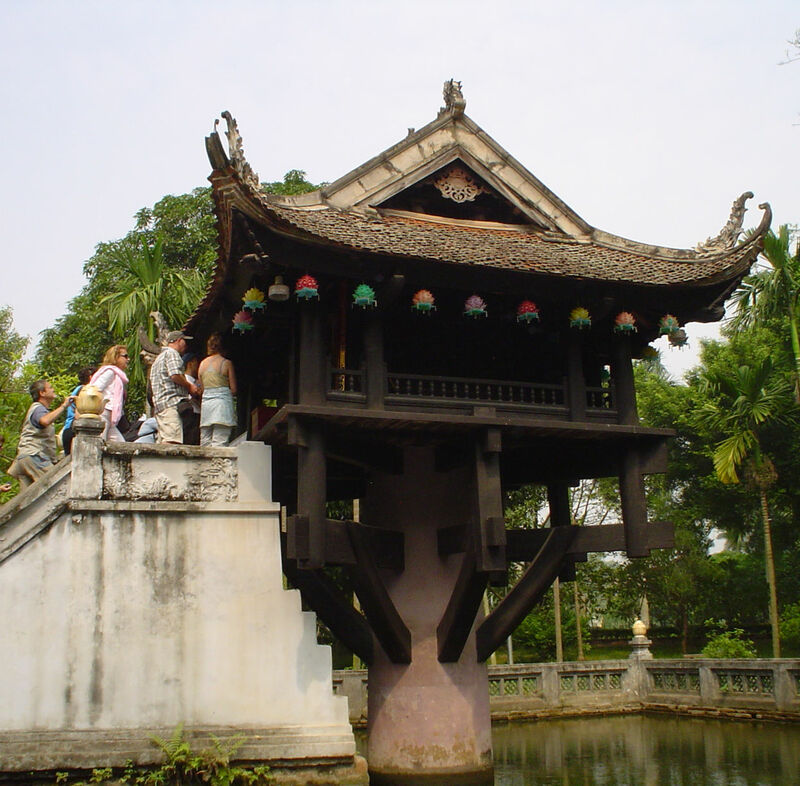 The most famous pagoda all over Vietnam is the one pillar pagoda or one column pagoda, next to the mausoleum of Ho Chi Minh. But outside the city, next to the river, there is a quiet pagoda. 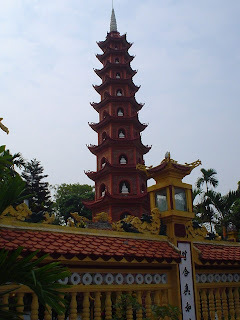 The pagoda has 7 floors, representing 7 states to reach as a Buddhist. Of course, we can't miss the chance to take some pictures of motorbikes running through the streets of Hanoi, the capital of Vietnam. Hanoi is the political and economic capital of the country. 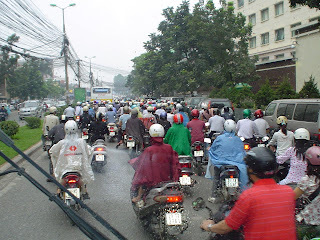 Although the weather in Hanoi is cooler than the weather in Saigon, on the streets of Hanoi you can see many cars. However hundred of thousands of motorcycles are on the streets.